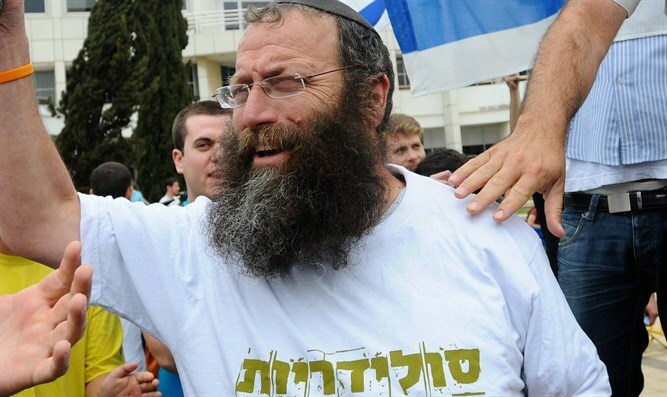 Leaders of the Otzma Yehudit party, including Baruch Marzel, Attorney Itamar Ben-Gvir, Lehava founder Bentzi Gopstein and former MK Dr. Michael Ben Ari, will be allowed to protest terrorism in the northern Israeli Arab village of Arara, home of Tel Aviv terrorist Nashat Melhem, shot dead by police as he was trying to escape from his hiding place in the village. Initially, Otzma Yehudit's application for a march from Ara to Arara, from Melhem's home to where the terrorist was found hiding, was denied. Coastal District Police feared violence over the protest march, and would have preferred it not to take place. Otzma Yehudit appealed up to the Supreme Court, where Ben-Gvir argued that to protest is a universal right, which police have respected for a variety of groups in the past. The Supreme Court ruled in Otzma Yehudit's favor, so long as they respected conditions set by the police who would be patrolling the event. After members of Otzma Yehudit toured the area together with representatives of the Coastal District Police, they agreed to stage the protest some 130 meters from Melhem's parents' home. The protest will take place inside the actual confines of the village. Baruch Marzel applauded the decision. "We are coming to the village in order to give over the message that he who is loyal to the State of Israel and its laws, and knows that this is the state of the Jewish nation, has nothing to fear from our visit. Quite the opposite, he is worthy of joining us. "However, those who don't want Jews in the village, and don't want Jews in the land of Israel, some of whom even assisted a terrorist going out to attack - we are at war with them, and we will enter [the village], and give them the message that this is our land, and anyone who doesn't believe it, isn't wanted here.